Home HealthWomen Wellness Yoga Asanas During Menstruation – Why and How? 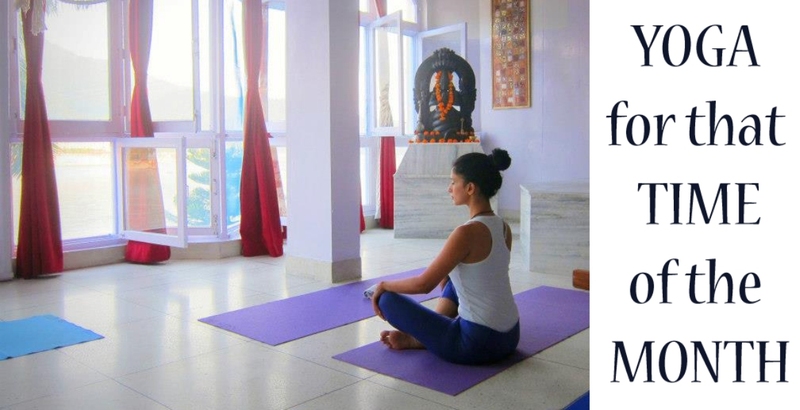 Yoga asanas for menstruation help in healing the organs of the body. and so slowing down isn’t bad. Not at all if you have your menstruation cycle on. I slow down on my running – keeping my runs shorter and slower and sometimes don’t run if I feel drained out. But when it comes to Yoga – my approach changes! And while most people say – you should not do Yoga while on the menstrual cycle, I feel that the right asanas do a great job of healing a sore, overworking body! Yes it’s controversial. But I am glad many women are asking this question and figuring out what works for them. Every woman feels differently about her menstrual cycle. It’s time of heightened awareness and sensitivity. It’s the time to make the body feel relaxed in ways that are strictly not physical. Periods create an emotional, physical and mental baggage that every woman likes to handle on her own. Yoga being a personal journey helps every woman to heal in way that only she can understand. During menstruation the forces in the body are trying to move down and out. The yoga practice tends to lift everything up. Energetically this works against the natural flow of your cycle. Having said all this, Yoga is adaptable and accommodates to our needs. So if one must practice then it should be those yoga asanas that do not make the woman run out of energy or bring any hormonal disturbance. Simple sitting yoga asanas done gently soothe the abdomen and help to remove tension and stress. Forward bends generally increase circulation into the pelvis and lower down. Thus any cramping or swelling of the legs may be reduced. The downward nature of the head rests the mind completely. Lying down yoga asanas relax the muscles and nerves which are under constant stress, strain and irritation. These yoga asanas help to relax and slow down the abdominal and the pelvic region. If one was to follow the Mysore Ashtanga tradition of Yoga then no asanas should be practiced till the flow has stopped or at least three days. However, as per the Iyengar tradition of Yoga one should refrain from the practice of Inversions. Because no woman is the same there are no set rules regarding what to do during menstruation. What is important is that we listen to our bodies during this time. Any yoga asana that puts a lot a stress on the abdominal and pelvic region should be avoided. In simple words practice non violence towards yourself. Demonstrations of the asanas by Ritu Govil and me. All of these are tried and tested yoga asanas, but we do recommend the first timers to get supervision while they try these. Yoga has lifetime benefits, is curative and preventive for most lifestyle diseases. Click here to know more about the lifetime benefits of yoga.